Ever since we posted our study questions for the first seven chapters of The Hunger Games, we’ve had eager teachers begging us for more. Well, first let me direct your attention to the website Hunger Games Lessons, which has fully-fleshed out lesson plans available for all three books in the series. The site is run by teacher Tracee Orman (who you’ll be hearing more from later this week) and frankly, she’s really the go-to person for using The Hunger Games in the classroom. But our very own teacher-blogger-author-in-residence Tiffany Truitt is using The Hunger Games in her classroom, and has generously agreed to share her study questions for all 27 chapters in the book. She’s also shared her Hunger Games quiz and her Hunger Games “project menu.” Tiffany will be posting even more of her Hunger Games projects on her author blog here, so be sure to check that out, as well! AND, be sure to pre-order her book Chosen Ones, in stores later this year and an excellent new dystopian YA that is perfect for fans of The Hunger Games! What illegal activity does Katniss participate in doing? Why does she need to do this? Describe the relationship between Gale and Katniss. Do you have a relationship like this in your own life? Explain. What is the reaping? Do you think this practice is fair? Explain. Who is selected at the reaping? How does Katniss save her sister from the reaping? What kind of person do you think Peeta is? What evidence from the book led you to come to this conclusion? What instructions does Katniss leave for her mother? What act of kindness does Peeta’s dad show to Katniss? How do you think this man might of influenced his son? What advice does Gale give Katniss about surviving the games? Do you think Haymitch will be helpful as a mentor? Why or why not? What does Katniss mean when she says: “A Kind Peeta Mellark is far more dangerous to me than an unkind one” ? What happens to convince Haymitch that Peeta and Katniss might be fighters? The presentation of the tributes seems to be greatly focused on visual presentation and looks — what does this reveal about the belief systems of the Capitol? Compare and contrast life in the Capitol to life in District 12. What prevents tributes from jumping off the roof? Why do you think this is in place? What reasons would Peeta have for being curious about Gale? What are the pros and cons of Peeta and Katniss being coached together? What reasons does Peeta give for thinking Katniss will be better than him in the arena? What does Katniss do before the judges? Why might this act be considered controversial? What does Katniss fear will happen as a result of her behavior before the judges? Why do you think Peeta asked to be coached separately? Describe Katniss and Peeta’s costumes. Why do you think Cinna dressed them like this? What shocking secret does Peeta reveal during his interview? How does Katniss react to Peeta’s declaration once they are alone? What does Cinna make sure Katniss brings into the arena with her? Who is the first person to die in the arena? How do they die? How are the tributes notified that someone has died in the arena? How do you think Katniss feels when she hears Peeta planning with the Careers? What are some of the conflicts faced by Katniss in chapter 12? Describe the attack that occurs in this chapter. What kind of injury does Katniss receive and how did she get it? What does Haymitch send to Katniss? Who does Katniss team up with? Why do you think she chose this person? Compare and contrast why Katniss and Rue think Peeta saved Katniss’ life. How does Katniss mourn Rue? How does Rue’s district show their gratitude for the way Katniss honored Rue? What major rule change occurs at the end of this chapter? Where does Katniss find Peeta? What shape is he in? Compare and contrast Katniss’ reaction to illness with how she describes how her mother and Prim react to illness back in the Seam. Why would Prim be better in the arena than Katniss during this situation with Peeta? What does Katniss do in order to receive a gift from Haymitch? How does she figure out that she needs to do this? How do you think Haymitch feels about Katniss and Peeta? Who do you think he believes to be the stronger competitor and why? What story does Katniss tell Peeta? What parts of the real story does she have to leave out because the Capitol is listening? What is the purpose of the feast? Why does Katniss want to go? How does Katniss trick Peeta so she can leave? What possible reason would Katniss have for worrying about Gale’s thoughts concerning Katniss and Peeta kissing? How does Foxface outsmart the rest of the tributes at the feast? Who saves Katniss and why? Why might this action upset the Capitol? Describe the story Peeta tells Katniss. What does this reveal about both Peeta and his father? What do we learn about Katniss’ father? Who do we find out is dead? Why does this upset Katniss and Peeta? What are Katniss’ fears about surviving the games? What does she decide she will never do if she survives, and why does she decide this? How does Peeta compare to Gale as a hunting partner? How is Peeta responsible for Foxface’s death? Why are Peeta and Katniss not thrilled when they realize Cato is dead and they have won the games? What announcement does Claudius make? Compare and contrast Peeta and Katniss’ reactions. How do Peeta and Katniss outsmart the game makers? What advice does Haymitch give to Katniss? What dangers do Katniss and Peeta still face despite the games being over? What startling discovery does Katniss make about Peeta during the interview? How does Katniss explain the use of the berries during the interview? Do you think Katniss was acting the whole time that she was in love with Peeta? Why or why not? ANSWERS: Can all be found in The Hunger Games … so start reading! We will NOT be providing an answer key. For the comments: Please share your ideas for using The Hunger Games in the classroom! where do i get the answers? how did katniss out smart the game makers? how toget the answersof this questions ?? You get the answers by reading the book! This book is my summer project for AP English…. these questions helped a lot for my paper. i currently homeschool my 12 yr old and wanted him to read them, glad i wasnt the only one thinking it! and thank you for the questions,,, i think i can answer most them myself! Thank you! I homeschool my kids and my 9 year old wanted to read this book. These questions will help her really understand it! 1) What did Katniss feel was the greatest weakness of the Careers? 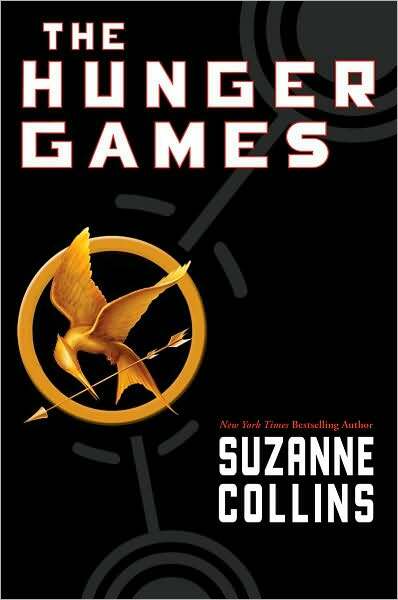 2) What is Rue’s favorite thing and what does Katniss think of it? 1) How does Cato express his extreme rage when he discovers the supplies were destroyed? 2) Why don’t the tributes immediately look for who blew up the supplies? The answers are in the book. Go read it. These questions are quite helpful for my Year Seven class. Thanks for taking the time and effort to create this page. I do, however, have a couple small complaints, which I’m bringing up only because these questions will presumably be used in English classes: The question in the Chapter 3 section–“How do you think this man might of influenced his son?”–should include the phrase “might have” not “might of”. This can be confusing for students, and the clearer we as teachers are about usage the better. Similarly, in the Chapter 1 section, while Katniss might “participate in” illegal activity, suggesting that she participates “in doing” illegal activity can confuse students who are looking to their teachers for examples of concise writing. Again, thanks for posting these as they are a great resource. Thank you for these thought provoking questions, I teach reading classes in Beijjing, this has been really helpful.